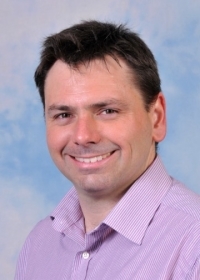 Dr Justin Pachebat is a Senior Lecturer in Microbial Genomics at Aberystwyth: parasitologist and specialist in single molecule genomics and next generation sequencing (NGS). After an MSc at the London School of Hygiene and Tropical Medicine, I did a PhD at the MRC National Institute for Medical Research (1997-2000) on the characterisation and biosynthesis of a malaria vaccine target: Merozoite Surface Protein 7 in Plasmodium falciparummerozoites. Subsequently I did several post-docs at the MRC Laboratory of Molecular Biology (2000-2007) and the University of Cambridge (2007-2009) on single molecule genomics, HAPPY mapping and Illumina sequencing. In 2010, I moved to IBERS, Aberystwyth to take up a Senior Lectureship in Microbial Genomics, where I have a combined research and teaching role. Research has two main focuses: 1) using single molecule genomics and NGS technologies to characterise pathogens (especially protozoa such as Cryptosporidium and Eimeria species) with the aim of developing novel diagnostics/methods of control; 2) using meta-genomic and meta-transcriptomic approaches to study host–pathogen–microbiome interactions. My teaching focuses on molecular biology, synthetic biology, genomics and infectious diseases, especially parasitology. From 2012-2015 I was Elected Member of the Society of General Microbiology (SGM) Eukaryotic Microbiology Committee (Infectious Disease theme), and organised conference sessions at the 2015 and 2016 SGM annual meetings. I am a Fellow of the Royal Society of Tropical Medicine and Hygiene, and of the Higher Education Academy.